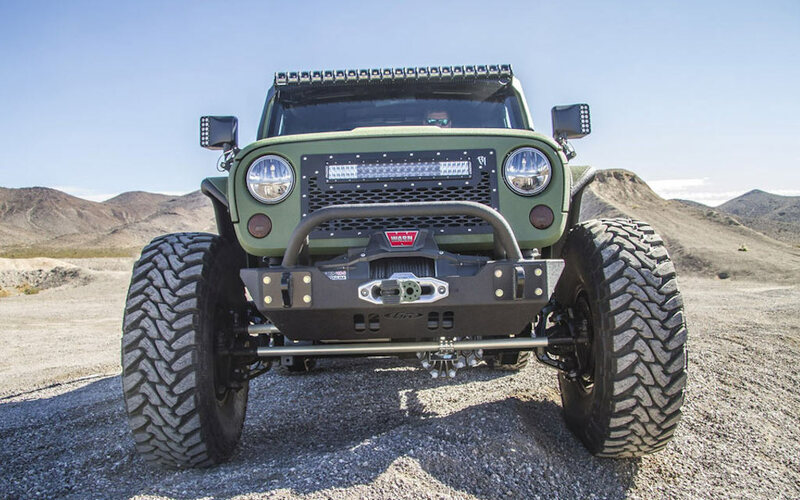 A couple years ago, Florida-based Bruiser Conversions caught our eye when they apparently mated a Jeep Wrangler with a monster truck. 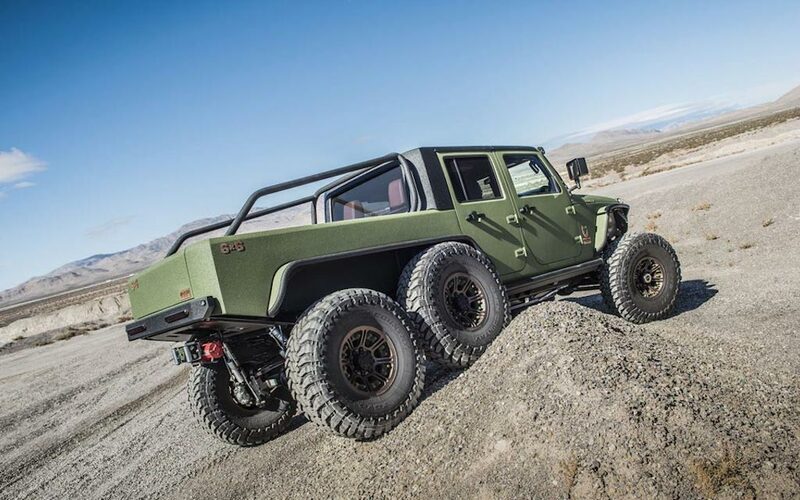 Then back in October, the shop rolled into Las Vegas’s SEMA show with an even more brazen, god-playing mutant: a 6×6 Jeep Wrangler JKU Pickup. 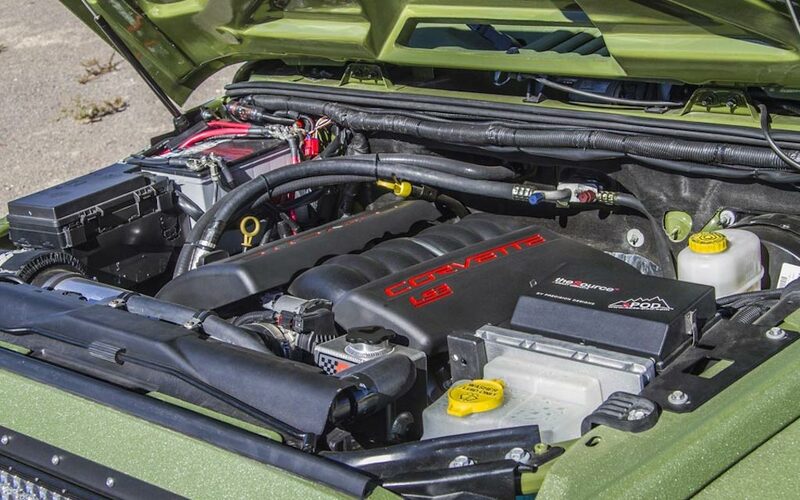 As their name suggests, Bruiser Conversions mainly deals in engine conversions — specifically putting LS3s, Hemis and Cummins Turbo diesels into Jeep Wrangler JL, JK and TJ platforms. But it’s their custom builds get the people going. 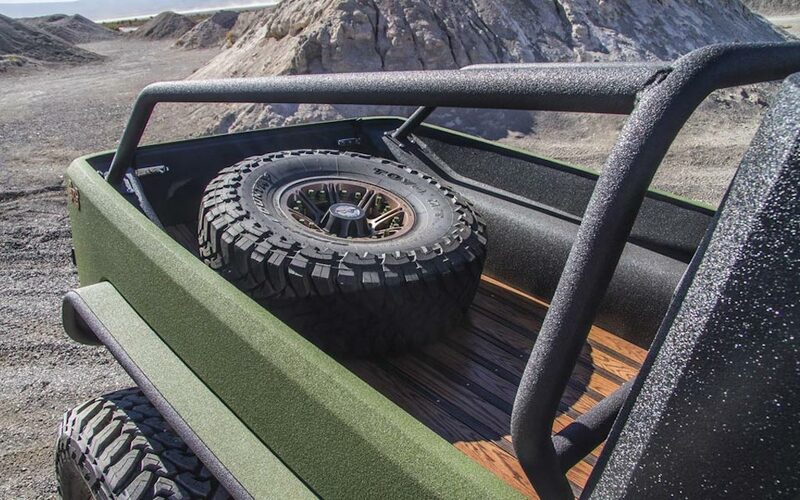 Case in point: a stand-by-your-Jeep diehard by the name of Willy Cabeza was the one who cooked up the idea for the Wrangler JK to 6×6 conversion, and he had to convince Bruiser’s owner Jeff Garland to tackle what ended up being a six-month undertaking. But as Four Wheeler writes, no one puts this 19.5-foot-long, 6,800-lb. behemoth in a corner. After SEMA, Willy hit the trails and planned to beef it up even more with a supercharger.